GAC’s manning services in Nigeria and Turkmenistan provides trained professional manpower and a full range of personnel-related services to the maritime industry. - And Others Also when requested we can directly approach specific companies on W.R.S which is an international recruitment intermediary who operates solely within manning. 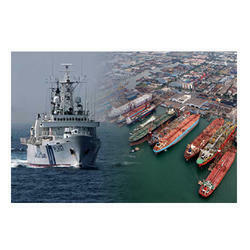 - Provide qualified, competent and experienced seafarers from our pool to match the requirement of the trade. - Compliance of Oil major crew matrix requirement. - Developing a crew pool dedicated to every ship owner client. - Developing loyalty program for seafarers so that Owners get continued service. - Developing careers rather than just providing employment. We provide the Crew Manning Services, our mission is to provide high standard quality of crew to principle owners in the global scenario and to reach to the maximum Ship owners / Management throughout the world. We provide quality crew to our customers so that they can concentrate on other aspects of ship operation with ease. Dns Marine Services Pvt. Ltd.
We provide full and partial crewing services through our crew management program. It will provide the principle and managers with a long-term man power resource of a pool of qualified officers, engineers and ratings. All creative ventures require a solid crew to make it successful. We have a dedicated crew of assistant directors, production staff, technicians, stylists, make-up artists, cameraman and more, all well experienced and up to the task for projects of any scale. We are a leading Crew Manager for Indian AND OVER-SEAS crews. The correct choice of crew and their management will greatly influence the life span of your asset. We provide the crew manning services; our mission is to provide high standard quality of crew to principle owners in the global scenario and to reach to the maximum ship owners / management throughout the world. 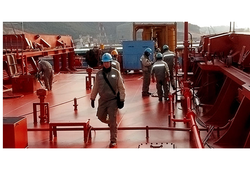 We provide quality crew to our customers so that they can concentrate on other aspects of ship operation with ease. ASHUTOSH MARINE provides you a multitude of services, whether you are a seafarer looking for a new employment or crew manager seeking to fulfill the employment opportunities, we can assist you in all aspect of your needs. After all we are one stop, multi-service Crew Recruitment Company. A complete quality crew management is provided for all type of vessel and offshore installation including FPSO /FSO and Dredgers. We care for crew and crew care for our ship. A well trained, disciplined, experienced and certified Officers/crew are provided. We are a leading Crew Manager for Indian crews. The correct choice of crew and their management will greatly influence the life span of your asset. Indian crew has a long standing tradition of seafaring and our Indian crews are almost like family with most of them having been with us for their entire career. All crew of the ships hold the necessary STCW certification. Great care is exercised in staff selection and only capable and experienced staff are sent on the ships. The main objective of Al-Hadi Marine Services Pvt. Ltd. is to provide quality assured crew manning services and supply our clients with qualified, capable and experienced seafarers of all grades from officers/engineers to ratings. Al-Hadi Marine Services Pvt. Ltd.